"In this 7-week healing experience, we travel through the 7 Chakras of the energetic body, releasing stuck energy and opening up to what we desire in our lives. Each class will focus on one of the chakras, beginning with the Root Chakra on October 11th, and ending with the Crown Chakra on November 29th. " There will not be a class on Thursday, November 22nd. 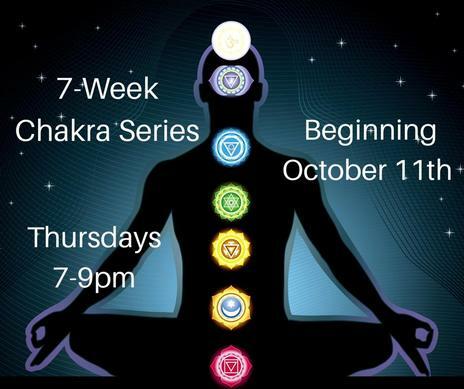 You can join us for the entire series for a full-body alignment or choose which chakras you would like to attend. $35 per class. Please pay ahead of time to reserve your space. If you reserve your space for all 7 classes and pay up front, you will receive one free class, making the total $210 for all 7 classes." Contact Sacred Moon Space at Sacredmoonspace@gmail.com or through Facebook on the Event Page. 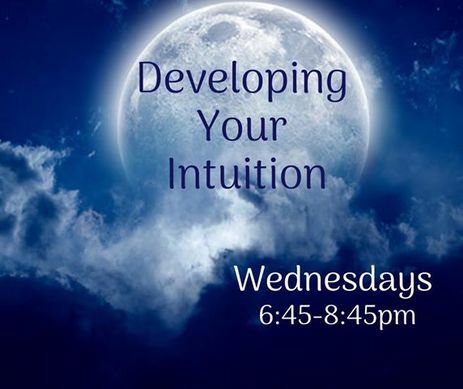 ​Weekly Meetings for those looking to Develop Their Intuition. Hosted by Sacred Moon Space. Contact Amanda Jay at Sacredmoonspace@gmail.com if you are interested in joining this group meeting. Visit our retail area for in stock doTERRA essential oils, books, elderberry syrup, locally made soap, and more. Our retail space is ever growing, come see what we have in stock today.